Last Updated: 12/20/18 | Reviewed By: Adam H. Rosenblum Esq. It goes without saying that alcohol-related driving offenses like DUI/DWI are some of the most serious traffic crimes a driver can be charged with. Navigating through the complicated terrain of DUI/DWI law can be quite complex. Many times, drivers do not even know if there is a difference between DUI and DWI, let alone the various penalties they can incur if they are convicted of drunk driving in NY. The following information has been designed to clarify all of this and to help drivers better understand the various charges they may be facing. What Are the Penalties for a DWI/DUI Conviction in New York? Jail Time: Drivers who are convicted of DWI in New York face a jail sentence of up to one year. A second conviction within 10 years increases the maximum sentence to four years, and a third in 10 years can carry a sentence of up to seven years. Suspension or revocation: New York can suspend or revoke the license of any driver convicted of DWI for up to one year. A revocation is worse than a suspension in that, when the revocation period ends, the license cannot simply be reinstated; the driver must reapply for a new license, including the written exam and road test. Fines: A DWI conviction in New York carries a fine of $300 to $2,500, depending on one’s BAC. A second DWI conviction within 10 years can mean a fine of up to $5,000. A third conviction in 10 years can result in a fine of up to $10,000. Surcharges: On top of the fine, drivers will be expected to pay a mandatory state surcharge of $260 to $400. Auto insurance premium increases: Car insurance providers in New York take convictions for DWI very seriously, and can raise rates dramatically. Some studies estimate an average increase in premiums of 76%. These increased rates can last for 10 years or more! A person could even be dropped from their insurer altogether. Criminal record: DWI is more than a traffic violation; it’s a criminal offense and a conviction means having a permanent criminal record. This can affect many aspect of one’s life, from employment to housing. Other penalties: In addition to these, a person convicted of DWI in NY can be required by the judge to install an ignition interlock device on their car. In some cases, a person can also be asked to attend a victim impact program. What is a DWI/DUI in New York? Depending on the state, driving under the influence of alcohol or drugs the offense may be labeled DUI (driving under the influence) or DWI (driving while intoxicated). Some states consider these two entirely separate offenses. However, in New York the terms DUI and DWI are used interchangeably for the same offense. The proper label for the offense is DWI (driving while intoxicated). If a person consumes alcohol prior to driving, it is quite likely that their blood alcohol content (BAC) might be over the legal limit. Contrary to popular belief, even if a person is not drunk, only had one beer, and feels totally fine, their BAC could be much higher than one would suspect. In New York, driving with a BAC of 0.02% to 0.07% can result in a charge of driving while ability impaired (VTL 1192-1). This is slightly different than a DWI, and carries slightly lesser penalties. Driving with a BAC of 0.08% or higher can mean being charged with driving while intoxicated (VTL 1192-2). Driving while intoxicated in New York is a very serious crime. Those with a BAC level of 0.18% or higher can be charged with aggravated driving while intoxicated (VTL 1192-2a), which is the most serious DWI charge. While it is common for police to conduct a breathalyzer or other chemical test to determine one’s BAC before charging a driver with DWI, it is not required. If the officer perceives that a person is showing signs of being intoxicated, he/she can be charged with violating common law DWI/DUI (VTL 1192-3). This offense is practically the same as regular DWI (VTL 1192-2) except, the BAC level is essentially irrelevant. As long as the officer bases his observation on his experience, training, and blatantly visible signs (e.g. slurred speech, odor of alcohol, bloodshot eyes, etc. ), this will give rise to probable cause to charge and arrest someone for drunk driving. A conviction for common law DWI/DUI (VTL 1192-3) carries with it the same penalties as regular DWI (VTL 1192-2). Depending on what charge a person faces, there are several good defenses an experienced DUI/DWI attorney can make to help get a reduction or dismissal. When it comes to DWI in New York (VTL 1192-2), it can often be argued that the breathalyzer was not calibrated or administered properly. There are strict protocols (including observation for things like belching) that police are supposed to follow. If it is revealed that those protocols were not followed, it can lead to the test being thrown out. If the test is the only evidence of DWI, that in itself can lead to a dismissal of the charges. In addition, if the results of the test were extremely close to the legal limit (e.g. the breathalyzer registers a .087), an attorney could try to dispute the findings of the test. In most cases, it is much more fruitful to argue that the evidence being used against the driver was illegally obtained, and, consequently, must be excluded from evidence. This type of defense usually relies on a motion to suppress the results of the breathalyzer, any incriminating statements made to the officer, and all other tangible evidence (e.g. bottles, cans, etc.) found in the vehicle. This defense is predicated on the fact that an officer must have probable cause to stop and search a vehicle. If it can be established that the officer lacked probable cause, any and all evidence will be considered inadmissible because they were obtained unlawfully. Likewise, if an officer coerced or forced a confession there could be grounds for excluding the confession due to a violation of one’s Fifth Amendment right. However, it is worth mentioning two things that drivers are usually unaware of. First, like it or not, the Supreme Court of the United States has consistently concluded that the warrant requirement does not apply to an automobile. This means an officer does not need a warrant to stop or search a car, just probable cause. Second, once an officer has probable cause to lawfully search a vehicle, he has the legal authority to seize any illicit item legally found, whether the officer was originally looking for it or not. The good news is that, even if the evidence cannot be excluded, a skilled attorney will be able to rebut the allegation of the police officer being called to testify against the driver. For instance, if the officer says that the driver failed several field sobriety tests, the attorney can provide evidence that this was because his directions were utterly confusing and poorly explained. Similarly, if one’s eyes were bloodshot, an attorney can introduce evidence that shows this was due to a lack of sleep, allergies, new contact lenses that were irritating, or any other valid reason for why eyes might be red. New York case law reveals that clever defense attorneys have tried a whole host of defenses to get their client’s DUI/DWI charges dismissed. One attorney tried to obliterate a section of the drunk driving statute completely. In People v. Cruz, 48 NY 2d 419, the defendant’s attorney argued that the phrases “intoxicated condition” and “impaired” were unconstitutionally vague and unenforceable. He argued that the statute did not explain how impaired a person needed to be or to what extent. However, the court disagreed and, in doing so, redefined DUI/DWI law in New York in a whole new way. This ruling set the foundation for what needs to be proven in any DWI/DUI case. 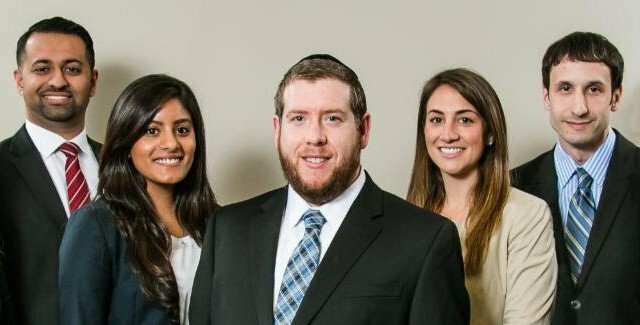 First and foremost, any impairment whatsoever of the abilities that you are expected to have as a reasonable and prudent driver due to consuming alcohol will be enough to convict you of driving while intoxicated in New York. Second, even though the statute does not have exact or precise cut-offs for what amounts to being “impaired,” it nonetheless is valid. In many ways, this provides a police officer with tremendous discretion to determine what gives rise to being impaired. Ultimately, probable cause consists of having a “fair probability” based on the “totality of the circumstances” that you were driving while under the influence. (See Illinois v. Gates, 462 U.S. 213.) This too reveals that police are given a wide-range of discretion when evaluating whether they can stop your vehicle, search it, and arrest someone. How long does a DWI/DUI stay on my driving record? Alcohol or drug-related offenses stay on one’s New York driving record for 10 years. Can you get a DWI expunged in New York? New York does not allow criminal records to be expunged. In limited circumstances, a person can have their record sealed. In most cases, a DWI is eligible for sealing, provided the driver meets all the other necessary criteria. Is a drunk driving a felony in NY? In most cases, a DWI is charged as a misdemeanor. However, a charge of aggravated DWI (1192-2a) can be charged as a felony. In addition, a second or third DWI charge within 10 years can also be charged as a felony. What are the penalties for a minor caught driving while intoxicated in New York? 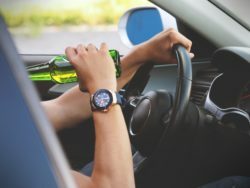 Drivers under the age of 21 who are accused of drunk driving can be charged under New York State’s Zero Tolerance law. The penalties for this are different from regular DWI. A conviction means paying a $125 civil penalty and suffering a six-month license suspension. What happens if I refuse a breathalyzer or other chemical test? What if I am charged with DWI in another state? New York drivers who are convicted of a DWI offense while in another state can have their license suspended for no less than 90 days. This in addition to any penalties that apply in the state in question. In 2017, police throughout New York State wrote 61,554 tickets for driving under the influence of drugs or alcohol. This is 2.3% fewer DWI charges than in 2016. DWI charges have been gradually declining in NYS for years; 2017’s figure is a 24.7% drop over 2009, the oldest data currently available from the DMV. Nassau County saw the most drunk driving tickets of any county in 2017 (excluding NYC) with 4,843. It is followed by Erie (4,341), Monroe (4,268) and Suffolk (4,140) counties. Most of those counties saw a decrease in impaired driving citations over 2016. Among those counties with the most impaired driving tickets, Suffolk County saw the greatest decline, dropping 11% from 4,676 tickets the previous year. Lewis, Schoharie, and Tompkins counties each had the largest percentage decline, with each seeing impaired driving tickets dropping by 36% between 2016 to 2017. Only 17 of NY’s 62 counties saw an increase in drivers ticketed for impaired driving, most notably Orleans (17%), Columbia (19%) and Sullivan (26%). Wyoming County saw the greatest percentage increase, with the number of impaired tickets more than doubling (111%) from 222 in 2016 to 469 in 2017.For more details about drunk driving tickets and accidents in New York State see our data page.